Rural Punjab is known for its exceptional cuisine. Whether we are talking about Makai Ki Roti with Sarson Ka Saag, Gobhi with Chopri Roti, or Aalo Walay Parathay, such simple recipes are far from the more ostentatious and non-veggie cuisines such as Sirri Payay and Nihari. It is no surprise that among a myriad of cookery shoes and dedicated channels on food in Pakistan,a small Vlog Village Food Secrets has taken Pakistani viewed by a pleasant surprise. Village Food Secrets remains grounded with the actual authenticity of Punjabi village life, which means cooking with clay ovens and pots, use of uplay (fuel discs made of cow dung) and simple wooden utensils. It is not merely good food, but the whole experience that fine diners can never understand. 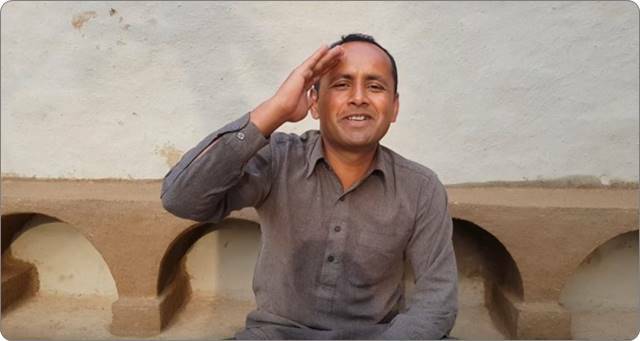 Village Food Secrets’s main USP is that unlike celebrity chefs, it’s blogger Mubashir Saddiqui from Shahpur brings his real self. Fans love that he recites Bismillah every single time he put an ingredients. Everything seems real, from recipes to the atmosphere. A fan from Korea observed Mubashir using Takhti as chopping board a sent him a chopping board from Korea, which he opened in a video with his gratitude. With Haath se Gundha hua Aata, he beautifully makes perfect circle rotis and Parathay with desi ghee. Once the dish is ready, with immense respect he asks his Abbo Jee to try it. And every time Abbo Jee responds with his trademark, ‘Zindabaad Puttar, Maza Agya Hai’. Mubashir Siddiqui’s Mitti ki Handi immediately brings back fond memories to many of us who have seen the simplicity of village life, now made extinct by modern gas stoves and dinnerware unfortunately. Already with 250K subscribers and on its mark to a million subscribers, Village Food Secrets remain our favourite video blog ever from Punjab. Recommended!